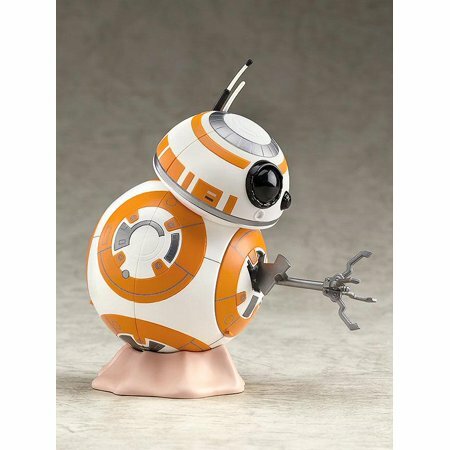 New Last Jedi BB-8 Nendoroid Figure now in stock! Walmart has debuted a brand new Last Jedi themed Nendoroid action figure of BB-8! This figure costs $50.28 plus $8.40 for shipping. As of this writing there are only 3 of these Nendoroid figures left in stock so order soon. 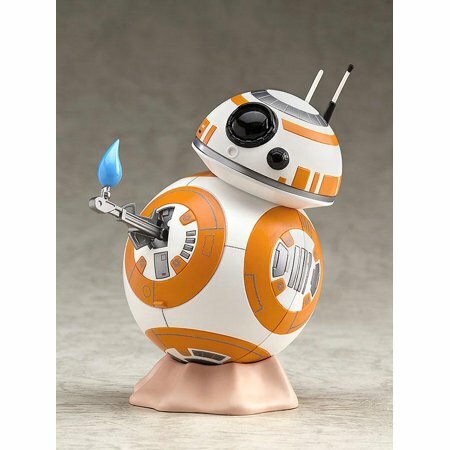 From the popular movie “Star Wars: The Last Jedi” comes a Nendoroid of BB-8! 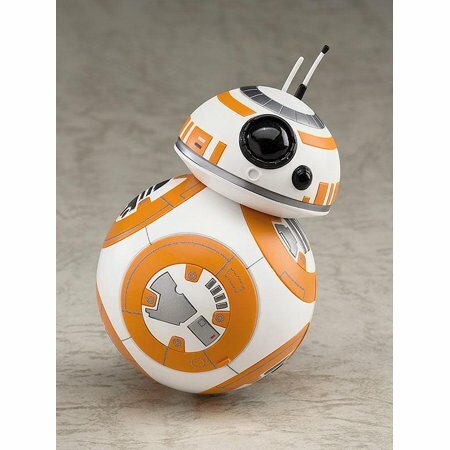 The head part is attached with a magnet which can easily be moved around into various positions just like in the movie, allowing you to display BB-8 showing all sorts of emotions from excitement to disappointment! The antennae parts on his head are included in both a standard version and a bent version to display him as if rolling forward at full speed! Interchangeable parts to display him showing the thumbs-up pose from “Star Wars: The Force Awakens,” as well as the new arm parts from “Star Wars: The Last Jedi” are both included allowing for a variety of different display options. A special base made in the image of the sand dunes of Jakku is included together with an attachment part for him to leave tracks behind him! Enjoy all sorts of adorable scenes with Nendoroid BB-8 in your collection!